George Orwell probably never heard of Guantanámo Bay, but he wrote about it. For some years now, I have had a game I have played to entertain myself when I go to visit my clients there: I take them books and magazines, to see which ones get through the bizarre censors. Jack and the Beanstalk was banned, I never worked out why: perhaps because a detainee would plant a bean in an effort to escape the razorwire fences. Likewise, Runner’s World was banned while Swimming Monthly got in. This was hard to understand since a runner could only escape by weaving through the minefield, whereas perhaps someone could swim across the bay to freedom in Guantanámo City. Sometimes, the censor’s rational was easy to understand: The Gulag Archipelago was excluded because the military was sensitive about their own sobriquet, The Guantanámo Gulag. But An Innocent Man, by John Grisham, was censored too. Maybe the U.S. military did not like the idea that someone in custody might not be a terrible criminal. Grisham wrote an ironic piece in the New York Times, and his book was finally admitted. One of the books that I got in for Shaker Aamer was 1984 by Orwell. It was, he said, his favourite secular book. “The Torture is for the Torture,” he pronounced, “the System is for the System.” He read it several times over. We puzzled over how it passed muster. Surely they understood how it resonated with his experiences in Guantanámo? No, he said, they just did not understand what Orwell was writing about, any more than they had when I brought him Animal Farm, which the likely mistook for an agricultural treatise. So I asked Shaker to write an educational piece on the book. He took one of the bendy four-inch ballpoints that are all a detainee is allowed and illustrated why the pen is indeed mightier than the sword. Shaker arrived in Guantanámo on Valentine’s Day 2002, just as his youngest son Faris was born in faraway London. He explained the dystopian world of 1984, as it had been replicated 18 years later on a U.S. naval base in Cuba. Now, belatedly, enlightened as to Orwell’s meaning, the military authorities banned the book. 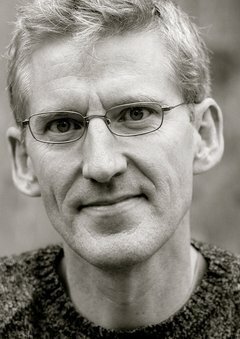 Clive Stafford Smith is the founder and director of Reprieve and the author of two books short-listed for the Orwell Prize (Bad Men, about Guantanámo Bay; and Injustice, the story of Krishna Maharaj, a British man sentenced to death in Florida). Shaker Aamer was eventually released back to Britain in 2015 after 13 years without trial.